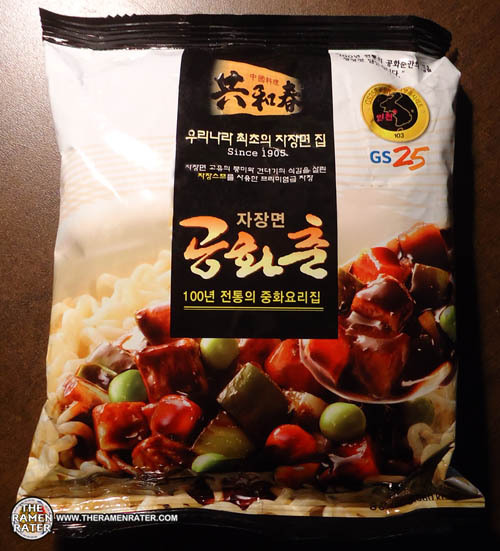 This entry was posted in * Stars 4.1 - 5.0, GS25, Other, Paldo / Korea Yakult, South Korea and tagged 1110, 8 801128 506571, 8801128506571, asian instant noodle soup, buckwheat, champon, champong, chun, cooking, fried noodle, gong, gonghwachun, gs25, hans lienesch, hwa, instant noodles, instant ramen noodles, jjajangmyeon, jjajangmyun, jjambbong, jjamppong, korea, korean noodles, lienesch, mi goreng, noodle, paldo, Ramen, ramen blog, ramen rater, ramen recipe, ramen review, ramen reviewer, ramen reviewers, ramen reviews, ramen video, ramenrater, ramenrater.com, ramyeon, ramyun, rater, rating, ratings, review, reviews, seafood, seattle, spicy, the ramen rater, theramenrater, theramenrater.com, top, washington, wheat noodle, yakisoba, yakult on July 13, 2013 by Hans "The Ramen Rater" Lienesch. 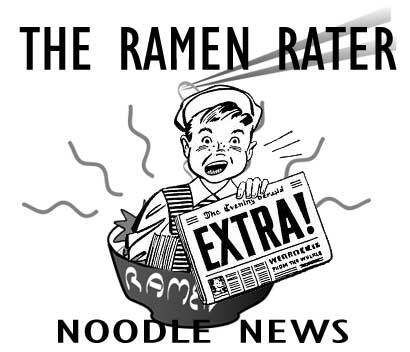 This entry was posted in * News / Noodle News and tagged asian instant noodle soup, buckwheat, cooking, fried noodle, hans lienesch, instant noodles, instant ramen noodles, korean noodles, lienesch, mi goreng, noodle, Ramen, ramen blog, ramen rater, ramen recipe, ramen review, ramen reviewer, ramen reviewers, ramen reviews, ramen video, ramenrater, ramenrater.com, ramyeon, ramyun, rater, rating, ratings, review, reviews, seattle, spicy, the ramen rater, theramenrater, theramenrater.com, top, washington, wheat noodle, yakisoba on May 11, 2013 by Hans "The Ramen Rater" Lienesch. 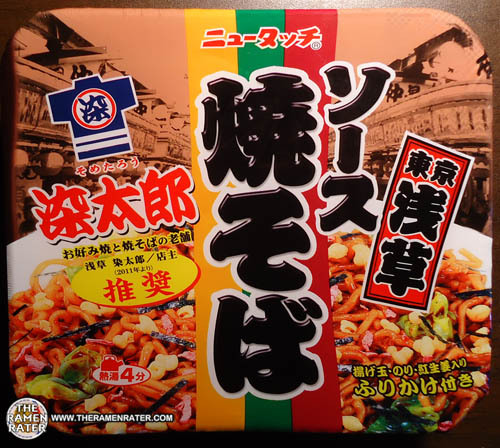 This entry was posted in * News / Noodle News, Taiwan and tagged 10大好味即食麵　新加坡包辦冠亞軍, asian instant noodle soup, buckwheat, cooking, fried noodle, hans lienesch, instant noodles, instant ramen noodles, korean noodles, lienesch, mi goreng, noodle, Ramen, ramen blog, ramen rater, ramen recipe, ramen review, ramen reviewer, ramen reviewers, ramen reviews, ramen video, ramenrater, ramenrater.com, ramyeon, ramyun, rater, rating, ratings, review, reviews, seattle, spicy, taiwan], taiwanese, the ramen rater, theramenrater, theramenrater.com, top, washington, wheat noodle, yakisoba, 世界美味泡麵, 中天, 中天新聞》世界美味泡麵 星國第一！ 台竟沒上榜, 全球10大好吃泡麵　台灣槓龜, 全球10大美味泡麵 台灣摃龜, 全球10大美味泡麵　蝦米！台灣摃龜 最新 即時, 全球泡麵TOP10》快來看看你吃過哪幾款～, 台沒上榜網友不甘心, 影片, 新加坡快熟面世界最好吃, 泡麵沒進排行！台網友留言灌爆, 美部落客：寄過來吧, 評選10大泡麵沒台灣, 鄉民灌爆部落格受矚目 on May 10, 2013 by Hans "The Ramen Rater" Lienesch. 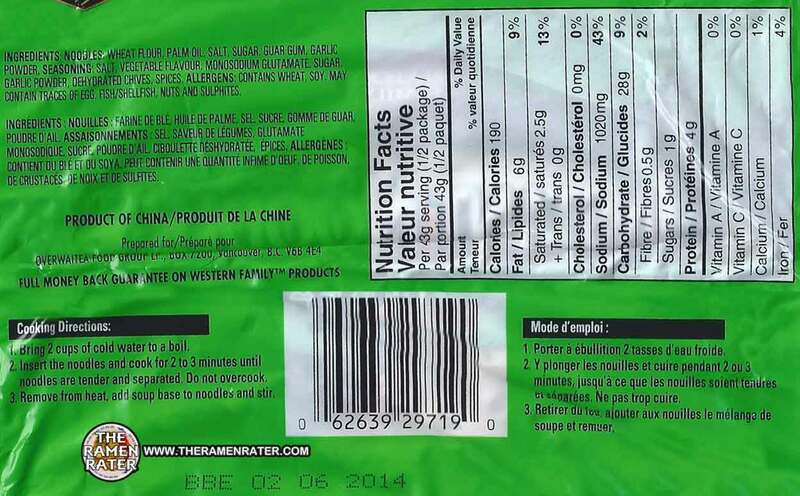 This entry was posted in * Stars 3.1 - 4.0, Other and tagged #1047, 4 903088 008882.1047, 4903088008882, asian instant noodle soup, buckwheat, cooking, fried noodle, hans lienesch, instant noodles, instant ramen noodles, korean noodles, lienesch, mi goreng, new touch, noodle, Ramen, ramen blog, ramen rater, ramen recipe, ramen review, ramen reviewer, ramen reviewers, ramen reviews, ramen video, ramenrater, ramenrater.com, ramyeon, ramyun, rater, rating, ratings, review, reviews, seattle, spicy, the ramen rater, theramenrater, theramenrater.com, top, washington, wheat noodle, yakisoba on May 10, 2013 by Hans "The Ramen Rater" Lienesch. 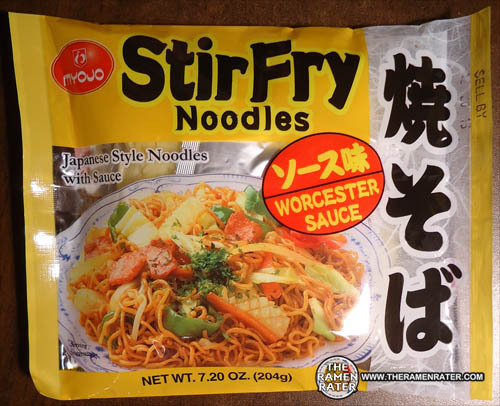 This entry was posted in * Stars 3.1 - 4.0, Myojo, Other, United States and tagged 0 11152 10429 4, 011152104294, 1045, asian instant noodle soup, buckwheat, cooking, fried noodle, hans lienesch, instant noodles, instant ramen noodles, japan, japanese, japanese style noodles with sauce, korean noodles, lienesch, mi goreng, myojo, noodle, Ramen, ramen blog, ramen rater, ramen recipe, ramen review, ramen reviewer, ramen reviewers, ramen reviews, ramen video, ramenrater, ramenrater.com, ramyeon, ramyun, rater, rating, ratings, review, reviews, seattle, spicy, stir fry noodles.yakisoba, the ramen rater, theramenrater, theramenrater.com, top, united states, usa, washington, wheat noodle, worcester sauce, worcestershire sauce, yakisoba on May 9, 2013 by Hans "The Ramen Rater" Lienesch. 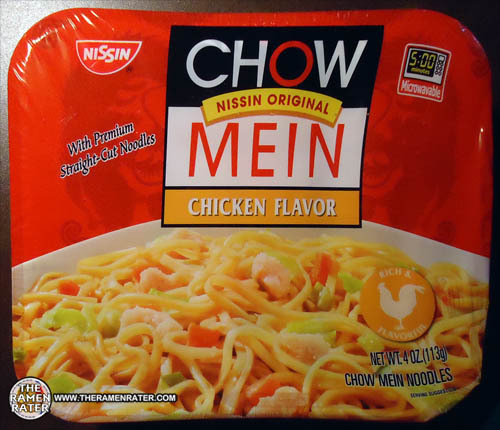 This entry was posted in * Stars 3.1 - 4.0, Chicken, Nissin, United States and tagged 0 70662 08721 3, 070662087213, 1045, asian instant noodle soup, buckwheat, chicken, chow mein, cooking, fried noodle, gardena, hans lienesch, instant noodles, instant ramen noodles, korean noodles, lienesch, mi goreng, nissin, nissin foods usa, noodle, Ramen, ramen blog, ramen rater, ramen recipe, ramen review, ramen reviewer, ramen reviewers, ramen reviews, ramen video, ramenrater, ramenrater.com, ramyeon, ramyun, rater, rating, ratings, review, reviews, seattle, spicy, the ramen rater, theramenrater, theramenrater.com, top, washington, wheat noodle, yakisoba on May 8, 2013 by Hans "The Ramen Rater" Lienesch. 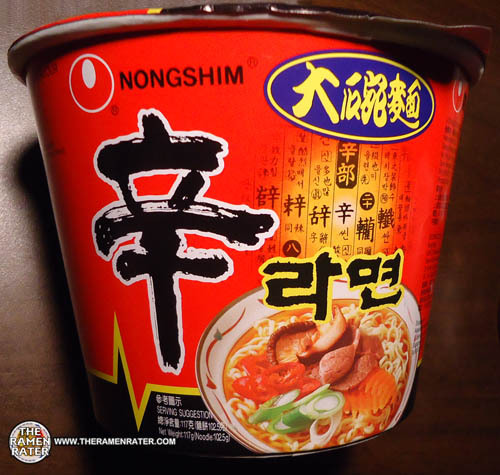 This entry was posted in China, Nongshim, Other, Vegetable and tagged 6 920238 083016, 6920238083016, asian instant noodle soup, buckwheat, china, chinese, cooking, fried noodle, hans lienesch, instant noodles, instant ramen noodles, korean noodles, lienesch, mi goreng, nong shim, nongshim, noodle, Ramen, ramen blog, ramen rater, ramen recipe, ramen review, ramen reviewer, ramen reviewers, ramen reviews, ramen video, ramenrater, ramenrater.com, ramyeon, ramyun, rater, rating, ratings, review, reviews, seattle, shanghai, shin ramyun, spicy, spicy mushroom, the ramen rater, theramenrater, theramenrater.com, top, washington, wheat noodle, yakisoba on May 8, 2013 by Hans "The Ramen Rater" Lienesch. This entry was posted in * News / Noodle News and tagged asian instant noodle soup, buckwheat, cooking, fried noodle, hans lienesch, instant noodles, instant ramen noodles, korean noodles, lienesch, mi goreng, noodle, Ramen, ramen blog, ramen rater, ramen recipe, ramen review, ramen reviewer, ramen reviewers, ramen reviews, ramen video, ramenrater, ramenrater.com, ramyeon, ramyun, rater, rating, ratings, review, reviews, seattle, spicy, the ramen rater, theramenrater, theramenrater.com, top, washington, wheat noodle, yakisoba on May 4, 2013 by Hans "The Ramen Rater" Lienesch. Yep – another one from my Canadian birthday trip! Let’s check this one out. 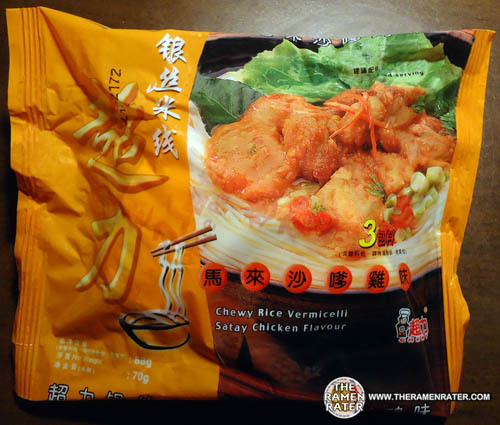 This entry was posted in * Stars 2.1 - 3.0, Chewy, Chicken, China and tagged 1043, 6 920377 218317, 6920377218317, asian instant noodle soup, buckwheat, chewy, chicken, china, chinese, cooking, fried noodle, hans lienesch, instant noodles, instant ramen noodles, korean noodles, lienesch, mi goreng, noodle, Ramen, ramen blog, ramen rater, ramen recipe, ramen review, ramen reviewer, ramen reviewers, ramen reviews, ramen video, ramenrater, ramenrater.com, ramyeon, ramyun, rater, rating, ratings, review, reviews, rice vermicelli, satay, seattle, spicy, the ramen rater, theramenrater, theramenrater.com, top, washington, wheat noodle, yakisoba on May 4, 2013 by Hans "The Ramen Rater" Lienesch. 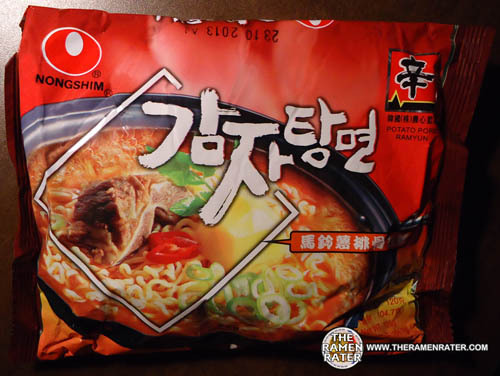 This entry was posted in * Stars 4.1 - 5.0, China, Nongshim, Pork and tagged 1042, 6 920238 087014, 6 920238 088011, 6920238087014, 6920238088011, asian instant noodle soup, buckwheat, china, chinese, cooking, fried noodle, hans lienesch, instant noodles, instant ramen noodles, korea, korean, korean noodles, lienesch, mi goreng, nong shim, nongshim, noodle, pork, potato, potato pork ramen, potato pork ramyun, Ramen, ramen blog, ramen rater, ramen recipe, ramen review, ramen reviewer, ramen reviewers, ramen reviews, ramen video, ramenrater, ramenrater.com, ramyeon, ramyun, rater, rating, ratings, review, reviews, seattle, shanghai, south korea, spicy, the ramen rater, theramenrater, theramenrater.com, top, washington, wheat noodle, yakisoba on May 3, 2013 by Hans "The Ramen Rater" Lienesch. 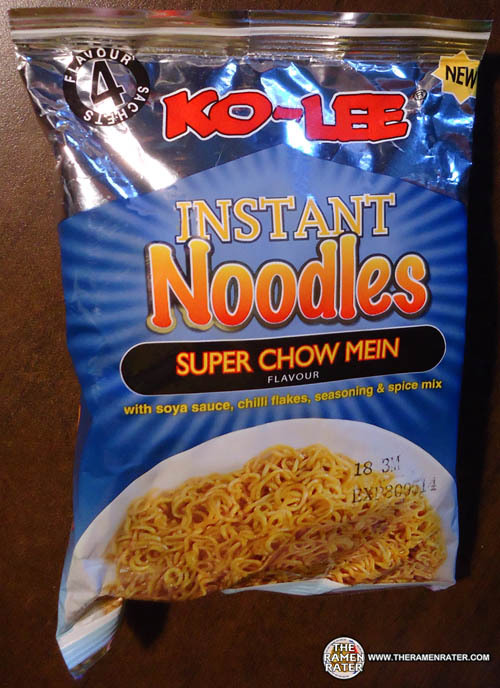 This entry was posted in Ko-Lee, Other, United Kingdom and tagged 1041, 5 023751 104143, 5023751104143, asian instant noodle soup, buckwheat, chow mein, cooking, england, fried noodle, gb, great britain, hans lienesch, instant noodles, instant ramen noodles, ko-lee, kolico, korean noodles, lienesch, malasian, malay, malaysia, mi goreng, noodle, Ramen, ramen blog, ramen rater, ramen recipe, ramen review, ramen reviewer, ramen reviewers, ramen reviews, ramen video, ramenrater, ramenrater.com, ramyeon, ramyun, rater, rating, ratings, review, reviews, seattle, spicy, super chow mein, the ramen rater, theramenrater, theramenrater.com, top, uk, united kingdom, washington, wheat noodle, yakisoba on May 2, 2013 by Hans "The Ramen Rater" Lienesch. Another from my trip to Canada on my birthday! Vegetable! Let’s check it out. 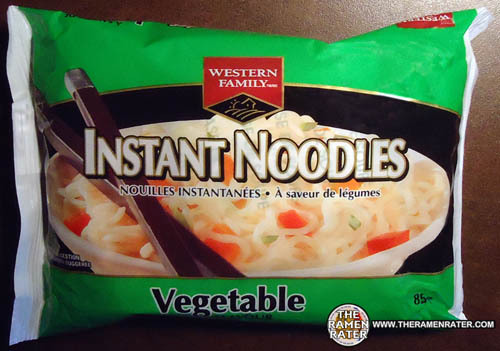 This entry was posted in * Stars 0 - 1.0, Canada, Vegetable, Western Family and tagged 0 62639 29719 0, 062639297190, 1040, asian instant noodle soup, buckwheat, canada, canadian, cooking, fried noodle, hans lienesch, instant noodles, instant ramen noodles, korean noodles, lienesch, mi goreng, noodle, overwaitea, Ramen, ramen blog, ramen rater, ramen recipe, ramen review, ramen reviewer, ramen reviewers, ramen reviews, ramen video, ramenrater, ramenrater.com, ramyeon, ramyun, rater, rating, ratings, review, reviews, seattle, spicy, the ramen rater, theramenrater, theramenrater.com, top, vegetable, vegetables, washington, western family, wheat noodle, yakisoba on May 1, 2013 by Hans "The Ramen Rater" Lienesch.